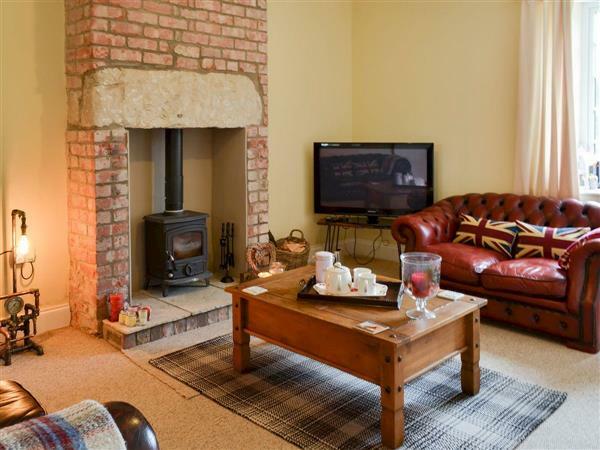 Annas Cottage in East Burton, near Bamburgh, Northumberland sleeps 4 people. 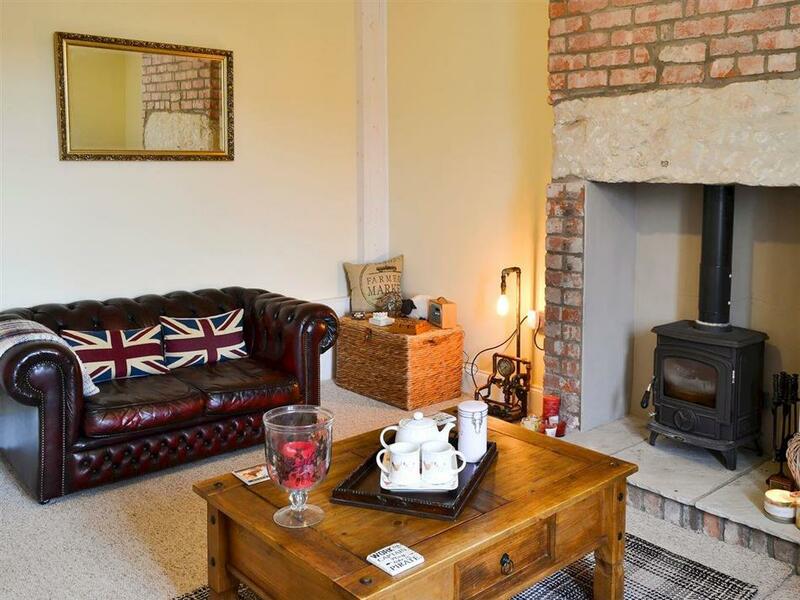 Anna’s Cottage near Bamburgh is set in a quiet hamlet of pretty, white-washed, former farm cottages known as East Burton; the location and quality of this stunning, mid-terrace cottage is simply divine! Anna’s Cottage enjoys a tranquil and rural setting, and simply oozes style and charm. There is a cosy wood burner in the living room, ensuring a warm welcome regardless of the season. There is a separate dining room where French doors enhance the bright and airy ambience and lead to a secluded patio garden. A characterful, exposed stone archway leads from the dining area to the pristine kitchen. The bedrooms are immaculately presented and enjoy undulated views across open farmland. East Burton enjoys the very best of both worlds. Situated down a single track where a passing car is a rarity, the views to the south and west overlook open countryside. To the east there are uninterrupted views towards Bamburgh Castle and the sea, with the Farne Islands on the horizon. The picture postcard coastal village of Bamburgh is just over a mile east, where the commanding presence of the magnificent castle, with its impressive film and TV pedigree, dominates the coastline. This prestigious visitor destination offers restaurants, pubs and quaint tea rooms, along with ample local facilities including a convenience store, butcher (home of the famous Bamburgh banger, as seen on ’Rick Stein Food Heroes’), gift shops, art gallery and the Grace Darling Museum. The wide expanse of golden, and often empty, sandy beach that Bamburgh is renowned for is idyllic for those who yearn to inhale the invigorating sea air, feel the sand between their toes and listen to the lap of the waves as they gently reach the shore. Offering views of Lindisfarne, the Farne Islands, the Cheviots and Bamburgh Castle, Bamburgh’s golf course is one of the most beautiful links course in the world. The tidal island of Lindisfarne, known locally as Holy Island, is regarded as the birthplace of Christianity in the UK, and can be viewed from the shoreline. The causeway leading onto the island is swept by the North Sea but safe to cross twice daily. Two miles north of Bamburgh is the bird sanctuary at Budle Bay, where at low tide a vast expanse of mud flats is home to countless thousands of wading birds, making this location a haven for bird watchers. The traditional fishing port of Seahouses is only 3 miles down the coastline with its good range of local shops, a Chinese takeaway and an Indian restaurant. Watch the trawlers return to the harbour with their daily catch or take a boat trip to the Farne Islands or set sail to test your fishing skills! There are several golf courses, some of them at championship level, in the area and horse riding is available close by too. The elegant Georgian town of Berwick-upon-Tweed, which straddles the salmon-rich River Tweed, is 17 miles north, and the bustling market town of Alnwick, with its own magnificent castle which is the ancestral home to the Duke of Northumberland (and film location for Harry Potter’s Hogwarts Academy), also offers many facilities and is around 15 miles away. Alnwick Garden is a popular visitor attraction with its grand cascade waterfall and restaurant set within the largest tree house in Europe. Anna’s Cottage will be an excellent choice for those seeking beautifully presented accommodation in a truly spectacular setting, giving easy access to explore the 20 miles of Northumberland Heritage Coastline, designated as an Area of Outstanding Natural Beauty. The beach is 1 mile from Anna’s Cottage near Bamburgh. With the shop, pub and restaurant 1½ miles from Anna’s Cottage. Living room: With wood burner, Freeview TV, Xbox 360, Wii and French doors leading to patio garden. Electric heaters, electricity, bed linen, towels and Wi-Fi included. Initial fuel for wood burner included. Enclosed patio garden with garden furniture. Private parking for 1 car. No smoking. Holidays at Annas Cottage run from Saturday to Saturday. Pets allowed at Annas Cottage. For a better idea of where Annas Cottage is, you can see Annas Cottage on the map below. Annas Cottage is in Northumberland; should you be on the lookout for a special offer, you can find all the special offers in Northumberland. It's always worth checking to see what is on offer at the moment. Do you want to holiday near Annas Cottage (UK3237), you can see other cottages within 25 miles of Annas Cottage; have a look to find your perfect holiday location.